Gravic is pleased to announce two new additions to the HPE Shadowbase utilities product suite in its latest release of NonStop Version 6.5 – Shadowbase Data Definition Language Utility (part of the HPE Shadowbase Data Management Utilities) and Shadowbase Repair (a feature in the HPE Shadowbase Compare Utility). Many Enscribe users need to replicate their Enscribe data into external systems and environments, usually by converting the Enscribe information into standard SQL data structures and schemas. 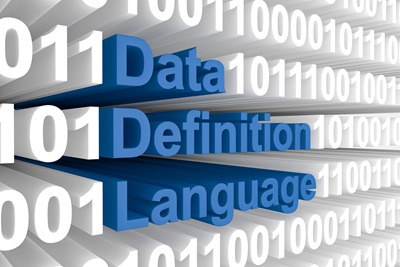 The HPE Shadowbase Data Definition Language Utility (SBDDLUTL) simplifies this process by providing a powerful interface to convert and map the Enscribe DDL data structures (records, fields) into their SQL equivalents (tables, columns). SBDDLUTL supports a variety of target SQL databases, including NonStop SQL/MP, NonStop SQL/MX, Oracle, Microsoft SQL Server, IBM DB2, Oracle MySQL, SAP HANA, and SAP Sybase. Typically, this manual process takes many hours to complete depending on the size of the Enscribe DDL definition. Instead, SBDDLUTL instantly flattens the definition, eliminating this error-prone effort. The SBDDLUTL feature is available as part of the HPE Shadowbase Data Management Utilities product bundle. For more information, please read our solution brief. 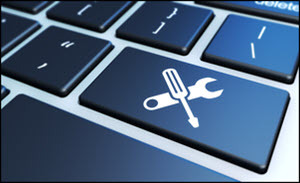 HPE Shadowbase Repair is a feature in the HPE Shadowbase Compare for SQL NonStop Utility to assist with correcting or repairing SQL/MP or SQL/MX database discrepancies between two tables. Shadowbase Repair works on any two tables in these databases, provided they are both of the same type (MP or MX). It does not require a Shadowbase replication configuration and can be used in any environment where a source and target table need to be verified. Repair is particularly useful in business continuity data replication environments to provide confidence (or certification) that the source and target data matches, and to repair the discrepancies when it does not. HPE Shadowbase Compare reports the discrepancies between two sets of SQL tables, which would be an error-prone and time-consuming task to correct if even only a handful of differences were found. With HPE Shadowbase Repair, the user can automatically and quickly correct these differences with just a few simple commands. For more information, please read our solution brief. Gravic published Parts 2 and 3 of the article series, Switching Replication Engines with Zero Downtime in recent issues of The Connection. Sometimes it is necessary to change or upgrade to a new data replication engine version. The zero downtime migration approach will impose no downtime on either applications or users. This migration technique is similar to the HPE Shadowbase Zero Downtime Migration (ZDM) technique that customers have been using for decades to upgrade their applications, database schema formats, file and table locations (or indices), operating systems, or perform a hardware refresh. The ZDM technique results in greatly reduced risks for error, staff stress levels, and migration costs while still providing continuous availability. Part 2 discusses how the Version Independence approach discussed in Part 1 of this series can be improved using one or two additional nodes. It also explains how to protect the old production and old standby system(s) while the replication engines are being upgraded or switched. Part 3 discusses various methods used to switch replication engines without missing or re-replicating any data (solving the so-called jagged edge problem). Gravic recently published the article, The Better Backup Method, in the May/June issue of The Connection. This article discusses strategies for improving database recovery times after catastrophic failure for companies that use the “tried-and-true” backup and restore approach for data recovery. This method focuses on reducing the amount of data that needs to be backed up, stored, and subsequently retrieved for restoring transactional mission-critical databases to a current, consistent, and complete state in order to continue processing. It also focuses on the so-called online backup problem (where the database is open for processing while the backup occurs), and uses several techniques to reduce the amount of data that must be stored while the backup is taking place as well as for the subsequent changes to the data after the backup completes. 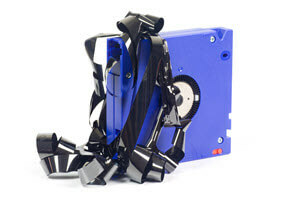 Since there is a growing need for an economic and efficient way to back up very large-scale databases, many companies are returning to physical tape to fill this need. The better backup method significantly and efficiently uses backup media and backup/restore processing to improve current techniques. To discuss your business continuity, data replication, data integration, and application integration needs, please email us at SBProductManagement@gravic.com, or call us at +1.610.647.6250.